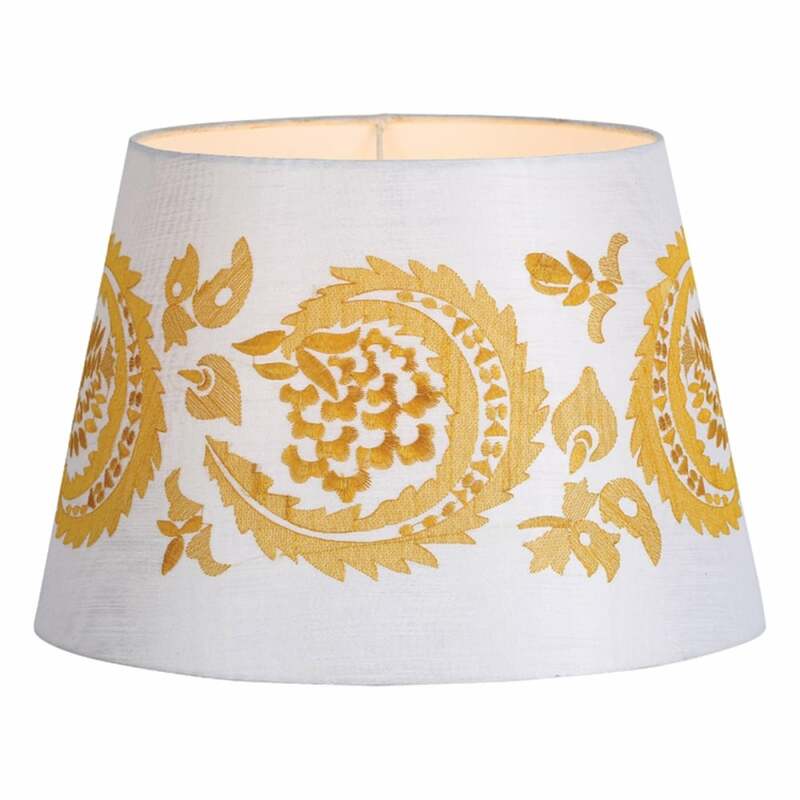 Dar Lighting Audny is a charming cream coloured tapered drum shade with gold detail. The product code for this shade is AUD1012. This eye-catching item features intricate, embroidered gold detailing surrounding the shade to create an interesting pattern. From the new India Collection by Dar Lighting this quirky and individual shade can be used with a lamp base of your choice to brighten up your space, perfect for all styles of decor. Dar Lighting offer an array of stylish lamp shades for all decors all of which can be viewed and purchased via our website.